Edge Modular Data Center: a rugged, scalable, cost-effective, and highly-efficient data center product designed and optimized specifically for mission critical operations and edge networks. Advanced engineering design protects mission critical systems and no comparable modular data center products are available on the market today . . . ready to roll. The Edge Modular Data Center rapidly meets your current and future data capacity needs while lowering your total cost of ownership (TOC). What makes the Edge Modular Data Center a unique product? Edge computing built to withstand the elements anywhere in the world; RIGID. Advanced engineering design protects mission critical systems in more ways than one; UNIQUE. Contact EdgeMCS at 804-379-3092 for more information on our Edge Modular Data Center. Rigidity, security, operating efficiency & aesthetic appearance are key aspects of the total value proposition. Rapid deployment, Scalable, World Class Solution. EdgeMCS offers uninterruptible power supply (UPS) products that enable data centers and other mission critical applications to remain ‘on’ 24 hours a day, seven days a week. The UPS product line, designed in 300 kVA building blocks, can be configured up to 1.5 MVA with the ability to parallel systems for more than 8 MW of load protection. We also can provide a High Density UPS product line that can be paralleled for more than 5 MVA of load protection. Our product line includes cost-effective, reliable, and mission critical emission and acoustical solutions for stationary natural gas and diesel reciprocating engines. With a client centric consulting approach, advanced engineering expertise, extensive industry knowledge, project management, responsiveness, and quality products, you'll get a solution that meets your specific needs. Solutions feature state-of-the-art technology that leverages a strategic partnership, proprietary intellectual property, and an engineering-driven organization with a specialty that can focus on higher specification, challenging projects requiring greater customization. EdgeMCS provides a comprehensive offering that includes catalysts, housings, silencers, monitoring systems and related services that address and reduce engine exhaust pollutants such as NOx, CO, VOC, diesel particulate, HAPs, and noise. EdgeMCS provides access to innovative technology and services that guarantee fuel quality and reliability. Critical power operations which cannot risk disruption rely on advanced technology to keep running. Some just clean fuel; we help you eliminate the risk of generator failure in the diesel fuel system due to fuel-related causes. Our comprehensive fuel management solutions care for all aspects of fuel supply and management. Generations of product development based on customer feedback, service, and performance data, EdgeMCS can provide you with systems that continue to lead the market and provide unmatched reliability with a zero-defect track record. U.S. manufactured products and solution provider that designs, builds, warranties, maintains and manages their own equipment with certified engineers and industry experts. EdgeMCS has partnered with a leading technology provider innovating the future of clean air through intelligent emissions’ reduction solutions built on the company’s patented electrically self-regenerating filters and proprietary catalytic technologies. The solutions uniquely address requirements for particulate filtration within a single modular system designed to permit reliable and unrestricted use of any mobile or stationary diesel engine. The modular construction of the systems deliver cost effective incremental capacity and adapt to any installation configuration. EdgeMCS provides a wide array of electric power generation equipment which utilizes a variety of engine and alternator manufacturers. Our agnostic approach allows us to evaluate your specific operational and site needs before specifying a product or solution. This process ensures you get the appropriate equipment for your specific operational needs. 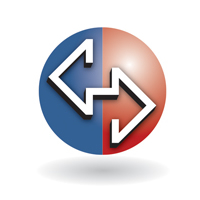 EdgeMCS offer a variety of solutions custom tailored to meet your power distribution and power management needs. 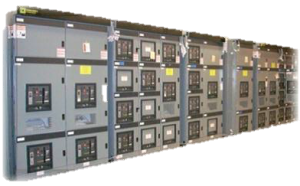 We provide industry leading products such as breakers, automatic transfer switches, load controls, transformers and paralleling/utility switchgear.